Robert Zoellick currently serves as a senior fellow with the Belfer Center for Science and International Affairs at Harvard University’s Kennedy School of Government. He is also chairman of Goldman Sachs’ international advisors. Previously, Zoellick was the president of the World Bank Group from 2007 to 2012. He served in President George W. Bush’s cabinet as U.S. Trade Representative from 2001 to 2005 and as Deputy Secretary of State from 2005 to 2006. From 1985 to 1993, Zoellick worked at the Treasury and State Departments in various capacities, including as Counselor to the Secretary of the Treasury and Under Secretary of State, as well as briefly in the White House as Deputy Chief of Staff. As the head of the World Bank from 2007 to 2012, Robert Zoellick saw it all when it came to the effects of the last decade’s worldwide financial crisis and the ever-growing interconnectedness of the global economy. Prior to his stint with the World Bank, as U.S. trade representative, Zoellick helped craft international trade policy in multiple Republican presidential administrations. Now chairman of Goldman Sachs’ international advisors and a senior fellow with the Belfer Center for Science and International Affairs at Harvard University’s Kennedy School of Government, Zoellick recently spoke with REIT magazine about the effects of economic malaise, stimulus policies around the world and the implications of rising globalization for the real estate industry. REIT: What are the lessons we should have learned since the financial crisis? Robert Zoellick: The learning will go on for some years to come. In particular, we still need to work through the “remedies for the remedies:” the handoff from the extraordinary fiscal and monetary policies that governments used to try to spur recoveries to private sector-led growth. At the most basic level, we’ve learned—yet again—that long boom periods with easy credit lead to frauds and foolishness. Economies and credit do have cycles. So, in addition to “learning lessons,” we need to recall them. Economists are still debating whether this financial crisis was precipitated in part by “global imbalances.” These include increased consumption and borrowing in the U.S. and elsewhere because of low prices of goods from China and other new major developing country participants in the world economy, and increased savings in the producing countries. The “savings glut” kept credit easier, tempting borrowers—particularly in real estate—with riskier loans. Lenders who were focused on fees on sales and other transactions abandoned good credit standards. More complex securitizations pretended to redistribute risks, but many investors didn’t realize or know what they owned—or thought they owned. Central bankers have also struggled to deal effectively with asset price inflation—in contrast with goods inflation. The general view among central bankers was that it was hard to predict and pick asset price bubbles while achieving other goals—and, therefore, the better course was providing liquidity when bubbles burst (as they had with the tech bubble). REIT: What are the implications of those lessons for policymakers and regulators? Zoellick: Central bankers now recognize that they need to head off asset bubbles—but they still are not sure how best to do so. They are experimenting with so-called macro-prudential policies that adjust standards for lending for certain asset purchases—for example, real estate. Regulators have also launched a huge effort to assure that banks are not too big to fail. These regulations cover, for example, capital, liquidity, leverage, use of derivatives, clearinghouses and limiting activities of deposit-taking financial institutions. Yet, as we have seen after past financial crises, regulations can have unintended consequences. Overly complex and numerous standards may create the false impression of safety—while leaving the next crisis to a different mix of causes. REIT: Do you see any areas within our economic system that could create more problems? 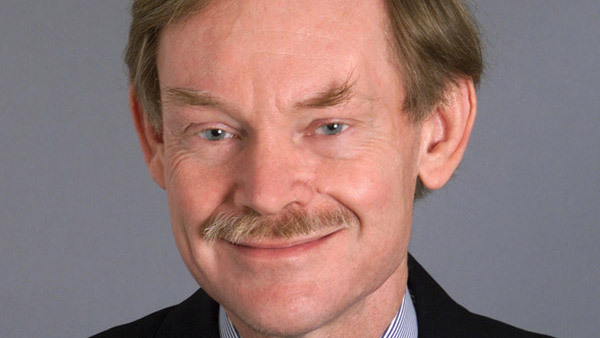 Zoellick: Looking ahead, I wonder about the risk for cybersecurity. Markets panic when investors do not have information and liquidity to trade. What happens if cyber-attacks shut down screens and investors cannot learn the values of what they hold? REIT: In the long term, is the U.S. economy more structurally sound now than it was in 2007 and 2008? Zoellick: I don’t think we face the same likelihood of asset price bubbles as we did then. But now economies face other problems. The U.S. economy, like many others, has vastly expanded its government debt as a percentage of GDP, so there is less cushion to deal with other crises or the long-term costs of government entitlement spending. Extraordinary monetary policies have limited the flexibility of central banks to respond in the event of a new big problem. Overall, the U.S. economy has deleveraged since 2008, but we will still need to see how the economy responds when the Fed begins to increase interest rates in 2015. Looking at the big picture, I think the major challenge for the U.S. and other economies is to achieve the “handoff” from extraordinary fiscal and monetary policies to growth led by the private sector. The U.S. is fortunate in that its private sector has continued to show great capacities for innovation. But the public sector has been slow to make structural reforms to boost potential growth—for example, through a broad-based tax reform, limiting entitlement spending, immigration reform and more open markets through trade. REIT: Europe is facing what appears to be another period of economic malaise. How much of that is attributable to policy decisions of the recent past, such as austerity measures? Zoellick: The European Central Bank has put a floor under markets, reducing tail risks. But the ECB has just bought time for other steps; monetary policy alone cannot solve the structural growth problem in Europe. Europe needs a mix of structural reforms to boost potential growth, improve the flexibility of labor markets, lower taxes, welcome innovation, and increase business and consumer confidence. The transition to private sector-led growth would need to be supported by fiscal and monetary policies that increase demand—but government spending and debt, and easy money, cannot be substitutes for private sector growth. REIT: So, then, what is next for Europe? Zoellick: The major challenge in Europe now is the politics of reform: Can governments take difficult decisions with weary publics and resistant systems? The most likely course is muddling through with slow growth, but these conditions can breed populists of the left and right who will want to try—unsuccessfully—to pull back from the global economy. REIT: Frankly, stagnation appears to be something of a reality around the world. Are there any policy tools left for governments and central bankers to give their economies a jumpstart? Zoellick: Some countries need more infrastructure to boost productivity. Others are still urbanizing with huge implications for real estate. Food consumption will increase—and people will want more meat, safer food, and more choices. Wealthier and older populations will increase demand for healthcare services. Travel and tourism will expand. All economies, developed and developing, need more and more efficient development of human capital, ranging from basic education to tertiary education and ongoing skills and training. This potential depends on polices to encourage innovation, technology development, better service sector delivery, and countless forms of private initiative, as we gradually move beyond the era of asset valuations based on monetary liquidity to valuations based on the real economy and earnings. REIT: What are the implications of the ongoing rise of economic globalization for the real estate industry? Zoellick: Real estate combines the local and global. Investors, builders and property managers know the importance of local supply-and-demand conditions and tastes. Yet, global investors looking for returns, and different mixes of yield and capital gains, often want real estate as part of their asset mix. I recently read that Japanese retail mutual funds own about $47 billion of U.S. REIT assets (and $64 billion globally), representing about 7.8 percent of U.S. REIT assets. Of course, other “global” factors will effect local real estate conditions—such as migration, demographics, office and industrial development, e-commerce and its affects on both retail centers and distribution facilities. Countries and markets that have reliable rule of law, property rights and financing alternatives will be more attractive. There will be opportunities in downturns as well as from growth. For example, some perceive opportunities for equity investments in European properties that will have more difficulty rolling over debt because European banks have to boost capital and cope with asset quality reviews. In general, institutional investors seem to be boosting their allocations to real estate a bit. And they still are underinvested relative to targets. REIT: What about REITs specifically? Zoellick: REITs, in particular, will be attractive to investors who prefer a more liquid asset. The lower entry costs of REITs will also be more appealing to smaller investors.